I’ve just been by my trusty Giant store to get the lowdown on the most recent prices. Let me just mention that I really like the TCR Advanced SL 0. It’s got a great frame and comes decked out in SRAM Red. This is a sub-15lbs bike. 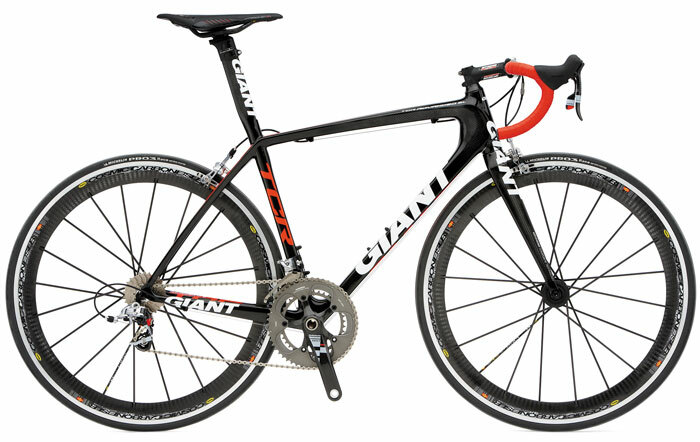 It’s the top of the line road frame from Giant. The other models above this one come with Dura-Ace, and for some reason, I really like SRAM. I went around the shop asking prices for frames and bikes. You get the best deals if you get a full bike. You still get a discount on frames. The MSRP for this Giant bike in the US is $7,300. The MSRP in Taiwan is $6,000. Now that’s already a significant saving compared to the US price. On top of that, you can expect another significant rebate. That bike will sell for about $4,800 in Taiwan. Now that’s a great deal. It’s a savings of about 35%. The bike and all of its components are made in Taiwan. The Pinarello Prince, the Orbea, and the Time bikes were made in other places. The Zipp 404 wheelsets cost about $2,000 on their own. In fact, the $13,900 9,000 MSRP TCR Advanced SL Limited Team Rabo Issue will cost you about $6,800 in Taiwan. Let me remind you that this bike comes with Dura-Ace carbon wheels with wheels that are worth $3,800! The Dura-Ace electronic component set costs about $2,600. Having verified the specs, the model I saw that was on special was the $9,000 TCR Advanced SL Team Rabo Issue, not the Di2 monster. I will enquire for the TCR Advanced SL Limited. I’m sure it would be possible. I was actually thinking about starting a small bike exporting business. However, it could only cater to a small number of clients. I’ll have to check the shipping costs as well. I’ll keep you apprised of the situation if you are interested. Watch this blog, I’ll announce something shortly. Hi Zach, I sent you an email. Cheers. Would you consider exporting the frameset? Here in the United State the frameset alone cost $1550. I would like to be able to buy a couple of frames and build them up. I think that you might be talking about the TCR Advanced frame, because the TCR Advanced SL (ISP) costs about $3,700 in the US, and it costs about $2,900 here in Taiwan. I’m currently considering exporting framesets and bikes. Send me an email at djrange at gmail dot com and I’ll let you know the full price and how we’d proceed. Hi, I’ve got updated prices and a deal hammered down with a local shop. For the bikes mentioned in the comments, here are the ’10 prices. Please email me at djrange at gmail dot com for more details. To get the best deals and the best rebates, you have to spend more than 1,500. 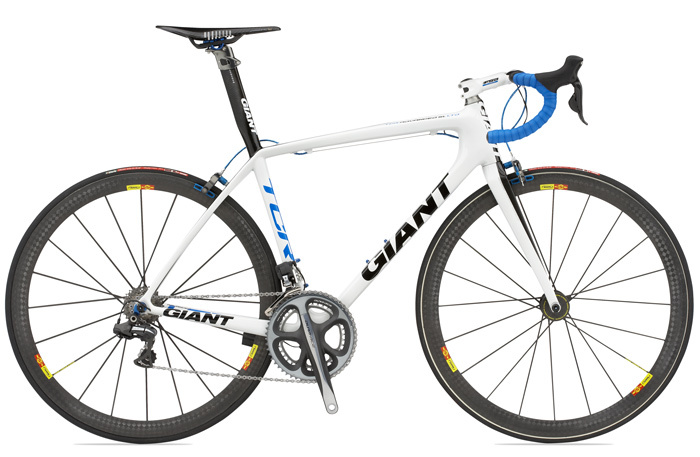 Check out bikes on the Giant US site and let me know model + exact size in cm. I’ll let you know the full specs of the bikes by email. Hello and Happy Holidays. I have seen your blog and am looking into an SL 0 with an ISP in SRAM red. I currently own a 2001 TCR ONCE and believe it’s time to hang it in the reafters of my garage. I might be in the market for and SL 0 ISP in SRAM red in Feb/Mar. If so, How would I proceed in purchasing a frameset and having it shipped to the states? Let me know when you have time. Are we talking about the 2010 TCR Advanced SL 1 ISP full bike with SRAM Red or the 2010 TCR Advanced SL ISP frameset? I’ve sent you the prices and details via email.